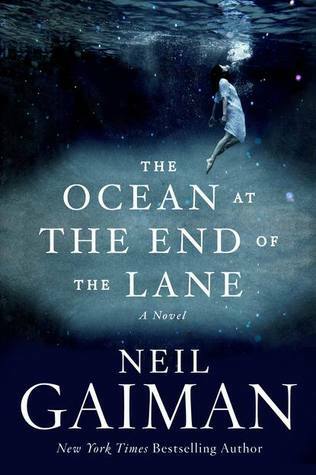 The Ocean at the End of the Lane is an unusual title for this Neil Gaiman novel. It immediately fills the reader's mind with questions. 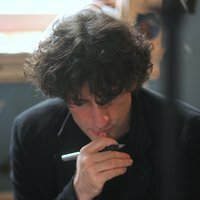 Neil Gaiman has a reputation for not worrying too much about what genre he 'belongs' to, and that leaves him free to do what he does best. The Ocean at the End of the Lane is no exception. The book begins with a man visiting a farm. He isn't quite sure why he's visiting it, but there's something familiar about it and he finds himself drawn towards an old duck pond behind a farmhouse. The rest of the book explains how he came to be there. It's not the kind of storyline that you will ever be able to guess! The main story revolves around the events that took place when the main character was seven years old. He has a difficult time at home and never has any friends. When a young girl from a neighbouring farm befriends him, he enjoys her company, and begins to realise that there is something a little unusual about his knew friend and her whole family. 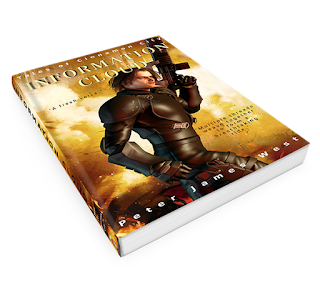 What the main character learns is surprising and strange. Any adult would have difficulty accepting the odd events that take place, but as a seven year old, he accepts everything at face value. This is part of the beauty of the story. The innocence of childhood is something we can all learn from. He does ask his father whether it is possible for an ocean to be the size of a duck pond, but Lottie sets him straight when he questions what she said. This was a beautiful story, well told with wonderfully weird characters. The settings and events were equally odd and very imaginative. Gaiman paints a world that is far different from any that we might have expected, and yet he paints it clearly and with such skill that we quickly become a part of it. We accept everything that happens. The farm grows within us and it becomes a character in its own right. The duck pond becomes more than the sum of its parts, but in the end, it is the young boy and his friend Lottie and her family that make this book what it is. We feel for them, and quickly become part of their world. I gave The Ocean at the End of the Lane 5 out of 5 stars. I would recommend this story to all fantasy fans, particularly those who like stories with depth, stories that have a dark edge, and stories that are full of impressive and weird characters.